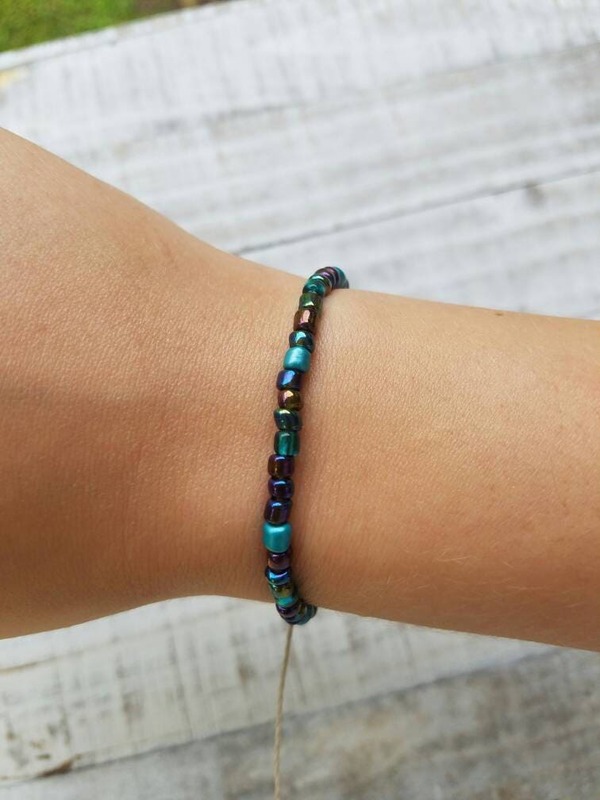 ♥ Black Rainbow E-beads on Light Sand colored thread. 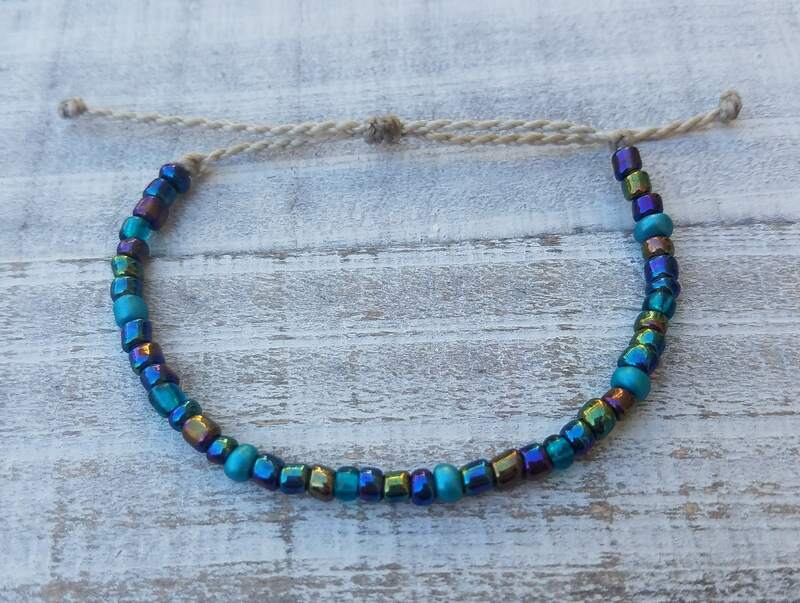 This is really a fun bracelet, the beads are beautiful and the quality is very good. Thank you, I really love it! Shipping was fast too. This bracelet came nicely packaged and quick shipping. 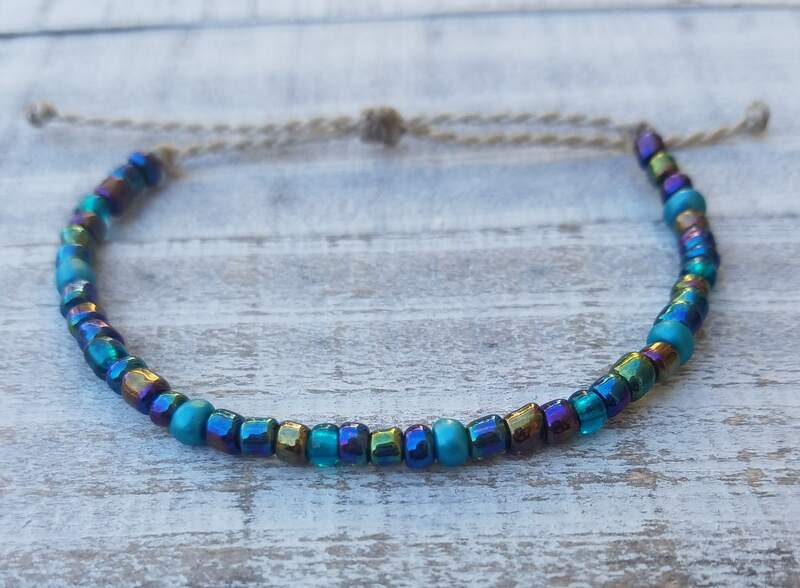 I absolutely love the blue bead colors!